Arabian Golden-winged Grosbeak Rhynchostruthus percivali was previously considered conspecific with Somali Golden-winged Grsobeak R louisae and Socotran Golden-winged Grosbeak R socotranus but morphological and plumage differences are thought sufficient to warrant specific status. Occurs in southwest Saudi Arabia, west & east Yemen and southwest Oman. Scarce breeding resident occurring where Euphorbias are common. This is the most difficult of all the endemics to see in Saudi Arabia where recent records have been near Taif and between Taif and Al Baha. 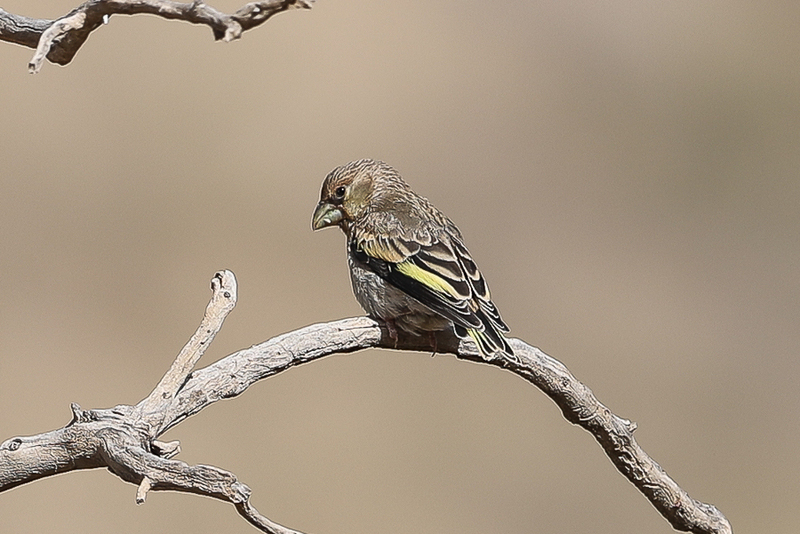 These records have included adults and juveniles so although the breeding population is extremely low in Saudi Arabia birds are still breeding.